Sunshine & The Rain swap their garage/punk ethos for a powerful pop mentality in “It’s All in Your Mind,” an emphatically bright and upbeat song dwelling in heartbreak and sorrow. You realized that you only ever told her you loved her with liquor on your mind. If a sad song sounds happy, then is it still sad? Sunshine & The Rain embrace the complex nature of their name in new single “It’s All in Your Mind,” an emphatically upbeat pop song dwelling in heartbreak and sorrow. Atwood Magazine is proud to be premiering “It’s All In Your Mind,” the lead single and opener off Sunshine & The Rain’s forthcoming sophomore album, Beneath the Stars (out October 26, 2018 via Ernest Jenning Record Co). 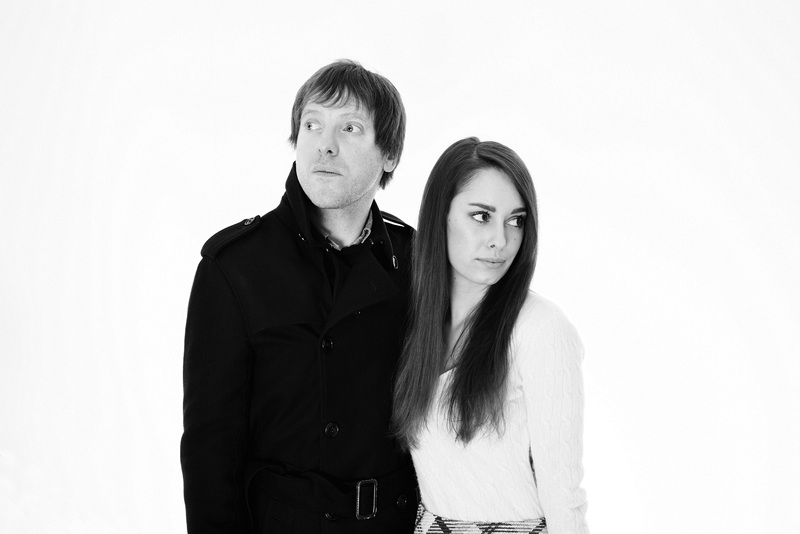 The married duo of Ashley and Justin Morey (formerly of the Black Hollies), Sunshine & The Rain shot onto the New Jersey music scene in 2015 and released their dynamic debut album, In the Darkness of My Night, in mid-2017. Raucous and turbulent, the debut feels straight out of a garage: Its raw grit and relentless hard rock intensity made Sunshine & The Rain out to be a ruthless lo-fi version of DOROTHY. “It’s All In Your Mind” reveals another side to Sunshine & The Rain’s artistry as they swap the punk ethos for a pop mentality. Recorded with Tom Beaujour at Nuthouse Recording and Kaleidoscope Sound in New Jersey, Beneath the Stars is the high fidelity “yang” to In the Darkness of My Night‘s “yin” – but just because they’re making more buoyant sounds doesn’t mean they’re all Sunshine now: There’s still plenty of the Rain to go around in the band’s music songs. Inside sweet Fleetwood Mac-like soft rock sounds, we hear Ashley Morey sing a dark story of emotional rupture and self-discovery. The protagonist wakes up to heavy clouds overhead as memories of heartbreak come flooding in alongside the morning sun. The song’s repeated line, “I guess you realized that you only ever told her you loved her with liquor on your mind,” offers a particularly enticing slice of reflection and substance. Everything comes crashing down with the end of something that was supposed to last a lifetime. The plans you made… the love you shared… the protagonist watches helplessly as an entire universe comes to a close, lost to history as a partnership becomes a solo act. All the while, the audience is treated to an infectiously feelgood singalong. Driven by emphatic claps, shimmering harmonies, and jangly guitar strums, “It’s All In Your Mind” radiates sonic beauty and melodic light. The juxtaposition is absolutely entralling as Ashley Morey’s charming voice tells this harrowing tale – but how can we be sad, when the words sound so sweet to our ears? Sunshine & The Rain have absolutely outdone themselves on “It’s All In Your Mind,” a dazzling track about the one who got away. Returning to the fold a year after their debut to show off fully-realized, emotionally resonant lyricism with an excitingly fresh buoyant sound, the band is sure to break out of New Jersey in no time at all. Stream “It’s All In Your Mind” exclusively on Atwood Magazine, and stay tuned for more from artist-to-watch Sunshine & The Rain as we lead up to Beneath The Stars‘ October 27 release! Were you running for your bus or just running from fear alone?